Supplying Artwork for the next Schools Guide Magazine? Need to know what to send? Need to know how to send it? For Expanded Listing advertisers please follow step 1. For all other advertisers please follow step 1 then step 2. If you have not already done so, you will need to send us a printable copy of your school crest (must have a transparent background). 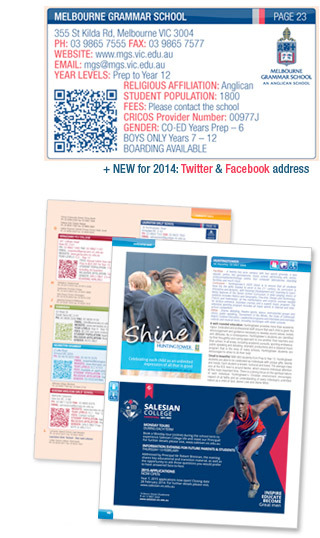 You will also need to send us your school contact details and listing details. The easiest way is to simply click this link and upload your expanded listing content online.